Day 2 was a bit better than day 1. The weather was still sloppy but we had a little better fishing. The ladies went 1 for 3 White Marlin. 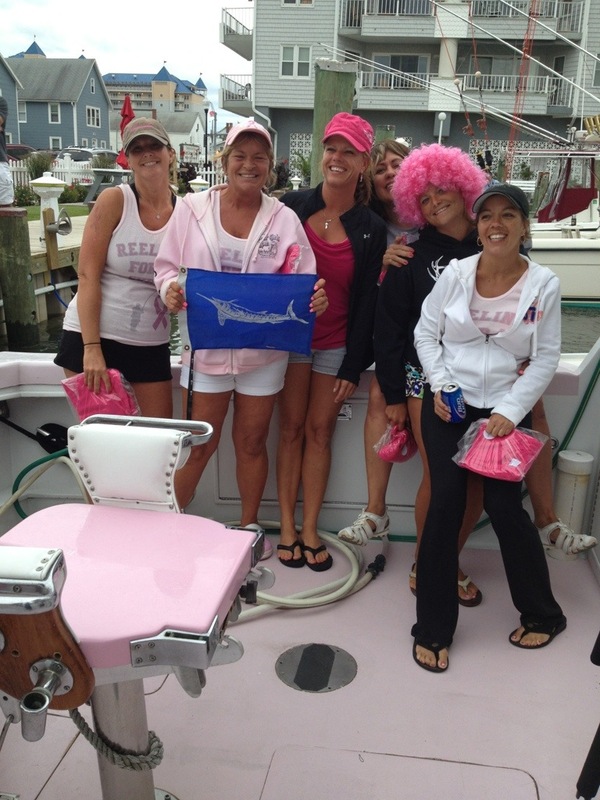 With us today was Rhonda Kaiser, who caught the marlin, Toni Johnson, Angela Ambrose, Lisa Bauer, Kristin Jezierski and Angie Labrado. Thank you all for a fun day and we will look forward to seeing you all again next year – Friday is the day I was told – so I have you down for Friday. Wayne, Ryan and I love our hair and will have it on hand next year when we go to the scales.